Beginner's Mind is a seamless, multi-layered blend of beautiful contemplative music, innovative brainwave entrainment frequencies, psycho-acoustic principles and deeply soothing subtle energy fields. 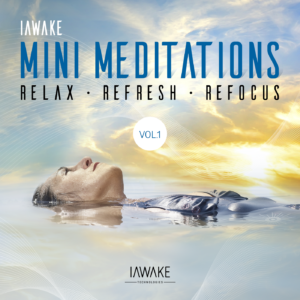 This proprietary synthesis of soul-heartening music, neurotechnology and energy medicine helps relieve stress and instill peace and renewal in record time. NOTE: You will notice some of the most tangible effects of this technology AFTER listening to the meditations, as you enjoy the rest of your day. The energetic frequencies emitted through this presentation will continue to interact with your biofield throughout the day. To fully experience the potential of this program, please get comfortable, close your eyes and relax for the demo. Allow the music soundtrack to immerse you in a deep sense of relaxation and peace. I'm actually really getting a lot out of using the biofield alone, no sound, no head phones, just my ipod. Beginner's Mind is my favorite. The music is amazing, and is entrancing entirely in its own. Delicious entrainment of body, mind, and the subtler aspects of my composition. Put on Beginner's mind and found myself almost instantaneously entering a deep state of serenity. NeuroFlow™ is a series of releases from iAwake Technologies representing an exciting new breakthrough in neural and biofield entrainment technology. Though the Profound Meditation Program comprises the basis and main focus for the meditation practices we recommend, this new series will perfectly complement your work with PMP. The focus of this series is to facilitate transformative flow-states and help you flourish, grow and evolve in today’s turbulent but exciting times. Play Beginner's Mind at a comfortable volume through loudspeakers in the background: Your whole environment will be infused with the subtle energetic frequencies of profound relaxation. Listen to Beginner's Mind with headphones: Because of the unique entrainment signals embedded in this program, listening to it with headphones as a meditation will penetrate deeply into your experience of stress, leaving a sense of relief that will last long into the day. Play Beginner's Mind silently: You might find yourself in a situation when you'd like to enjoy the peaceful emanations of Beginner's Mind, but it's inappropriate to be wearing ear buds or listening to music. Simply place Beginner's Mind on "repeat" on your MP3 player, then turn the volume down to zero and don't worry about using your ear buds at all. Due to the powerful biofield (subtle energetic) entrainment technology contained in Beginner's Mind, it will emanate a deeply relaxing energy field even at zero volume! Some people are more able to consciously detect this energy field than others, but your body and biofield will still register and benefit from it nonetheless. When played, Beginner’s Mind emits an energetic field that influences your biofield to induce tangible states of bliss and peace. Because of our unique and powerful biofield entrainment technology embedded in Beginner’s Mind, you will experience far more than just a relaxing brainwave pattern (which is what most conventional brain entrainment programs offer), you'll feel a subtle energetic field enveloping your entire body, often experienced as a refreshing cool breeze or tingling warmth against the surface of the skin. First of all I really like the sound – it is beautiful! The tracks (at least the first two or three) seemed to facilitate a state of mind in which I could be present in the situation between business people and families travelling and at the same time enjoying the state of mind I was in – a kind of "presence in the midst of turbulence" meditation. I liked that! Later on I was amazed that it was possible to work on a demanding task and be fully concentrated although there was a mother with her fidgety three-year-old right beside me. At some point I felt I wanted to withdraw from the situation and meditate with my eyes closed which was also possible. This is noteworthy – you managed to create a beautiful set of compositions of flute and nature that are adaptive to and supportive of different states of mind and modes of consciousness. After this test I would say they are good under difficult circumstances and for adept meditator. The entrainment in this CD is super powerful, and I can really feel it working within minutes. I've always listened to it on my computer speakers and it is super powerful in its effect, earphones therefore not necessary to experience powerful entrainment from this product. The feeling when I listen is calm, detached, and somewhat euphoric. I play it as chill out music or when I am working or studying. If you are not completely impressed with Beginner’s Mind, let us know within the first 90 days, and we’ll gladly give you a full refund.